Feeling frazzled? Whatever raises your blood pressure, there are as many ways to deal with stress as there are situations that cause it. An equal and opposite relaxation response can be triggered in myriad ways, often almost instantaneously. The trick is finding which one will work for you. Switch on something that’s already had you in stitches before, as the chances are you’ll feel better within a few minutes. It’s not just the act of laughing itself: the anticipation of laughter can lower levels of stress hormones cortisol and adrenaline too, according to research from the University of Loma Linda in California. So it’s worth keeping that side-splitting viral clip sent to you on your phone as a pick-me-up during the day. Try a live comedy night in English at the Black Sheep in Brussels on Tuesday nights, where a double-bill of award-winning and newbie international stand-up comedians is on offer throughout the autumn and winter. Or check out the monthly English stand-up nights at De Groene Waterman in Antwerp, organised by the Stand-Up Antwerp Comedy Cellar. You can find them both on Facebook. Take your trainers into work and go for a brisk lunchtime walk. Ten minutes of physical activity will have your body releasing mood-boosting chemicals called endorphins. Not only that, exercise also protects against heart disease by lowering blood pressure and strengthening the heart muscle. A dartboard on the back of the office door sporting the face of your boss might be highly inappropriate, but if you can hang a punch bag up in the corner of your office or get to a gym for a lunchtime session of kick-boxing, all the better. There are two major hormones linked to food, explains dietitian Elaine Magee – serotonin and cortisol. The feel-good hormone serotonin is made in the brain from the amino acid tryptophan, with the help of certain B vitamins. However, when you’re stressed, your body releases more cortisol into your bloodstream. “Cortisol sends appetite-stimulating neurotransmitters into overdrive, while lowering your levels of serotonin. This combination programmes your brain to crave carbohydrate-rich foods. And when you eat the carb-rich foods, it boosts serotonin levels, which makes you feel calm again,” she says. But keep it healthy. Oats are a great source of good carbohydrates that not only help produce serotonin but also lower blood pressure. Start the day with hot or cold porridge and stir in a huge handful of berries for some sweetness and a kick of anthocyanins, which are also mood-improvers. You know the stereotype of the British making a pot of tea in a crisis? A University College London study revealed that people who drank four cups of black tea every day for at least six weeks saw a marked decrease in the amount of cortisol their bodies were producing. Since cortisol is linked to high stress levels, anything you can do to limit its production helps deal with the nitty gritty of the day. Many fruits and vegetables contain potassium, which aids in the regulation of blood pressure, but it’s especially high in bananas. They can also help calm the mind, as they are rich in tryptophan, an amino acid that boosts the formation of serotonin and the sleep hormone melatonin. Whether it’s in a crowd or in the privacy of your own home with the blinds drawn, getting lost to a good beat is an exhilarating way to beat stress. If shaking it all off at a DJ bar on a Friday night isn’t your style, join a dance class where you don’t have the added stress of needing a partner – like jazz, tap, hip hop or Bollywood. Being able to dance like Gene Kelly or Beyoncé is just a bonus. Surround yourself with trees and breathe in that cold nip in the air. 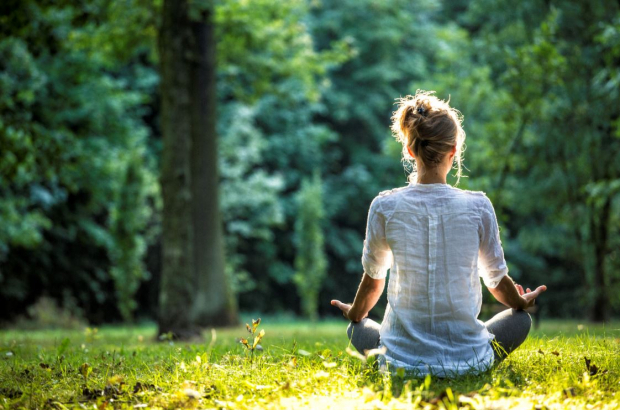 More than two-thirds of people choose to set out into nature when stressed, and with good reason: as an area of natural beauty can put your body into a state of meditation, according to research from Heriot-Watt University in the UK. This is thanks to a phenomenon known as “involuntary attention”, during which something holds our attention but simultaneously allows for reflection. Belgium has a lot to offer, whether it’s the forests and woods in and around the major cities, the North Sea coastline or the rugged beauty of the Ardennes. If you don’t like wandering into the wilderness on your own, join a ramblers group and explore somewhere you’ve never seen. Not only are pot plants great to look at and useful for purifying the air, just being around them can have a calming influence. A Washington State University study found that a group of stressed-out people who entered a room full of plants had a four-point drop in their blood pressure, while a comparison group who didn’t see plants dropped only two points, and a Dutch study from the University of Twente found that hospital patients with pot plants in their rooms reported lower stress levels than patients without them. In sunny rooms, go for aloe plants that can help clear the air of pollutants found in chemical cleaning products, with brown spots appearing on the leaves when there’s an excessive amount of harmful chemicals in the air. Bamboo, spider plants and ivy make it on to the Nasa list of most effective air-purifying houseplants. Taking 10 minutes out of your day to clear your mind and be in the moment takes practice, but it can help you gain perspective and feel centred when too many things are vying for your attention. Start by downloading the free version of the Headspace or Calm app on to your phone, and follow a guided meditation or a calming breathing exercise. A lot of yoga poses relieve stress as they free up the tightness in limbs where emotional tension accumulates. Try the eagle pose, Garudasana, which helps release tension in the shoulders and hips and requires focusing the mind on a single point – a good stress management tool in itself. Granted, it’s not for everyone, but getting up to do an activity you really enjoy before work or getting to your to-do list earlier can have you feeling far more accomplished during the day. According to a study at the University of Heidelberg in Germany, early risers tend to be proactive, anticipate problems and try to minimise them, thus performing well in their jobs.